The .30-30 cartridge has been a popular choice for decades and there are good reasons for that. The rifles using it are built to last and can be used for different types of shooting. Still, .30-30 is not the best choice for long range shooting, so there is no point to buy a high magnification scope(more than 12x) Nowadays, the 2 most popular lever action rifles that use it are Marlin 336 and Winchester Model 1894. There are a variety of scopes in the market for you to select from. Have in mind, that choosing the best 30-30 scope actually depends on your needs, or more exactly the range you usually shoot on. 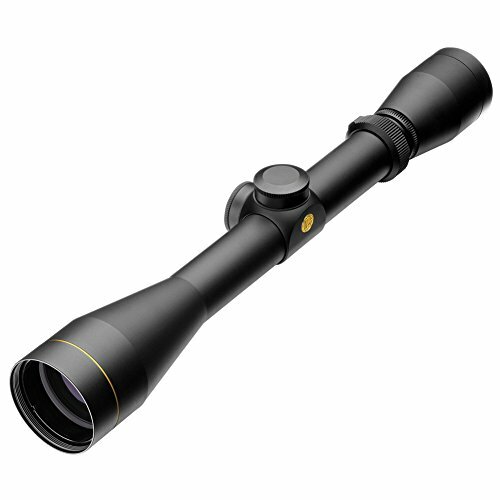 If you want to use the scope for multiple purposes, below several scopes with variable magnification are reviewed and they are an excellent choice for that. You also need to pay attention to factors like build quality, magnification level, and the size of the lens. Ensure that the 30-30 scope you choose has a large lens to absorb enough light and offer good brightness even in low light conditions. The built quality is also important. Some of the scopes listed below even have a lifetime warranty, so that should tell you something about the quality. ScopesReviews.com is here to help you make an informed decision. If you find choosing the best scope for 30-30 challenging, we have gone through a variety of products, read through forums, consulted .30-30 rifle owners and as a result compiled a list of the 5 most suitable scopes for the .30-30 cartridge. It is up to you to choose the best scope for your 30-30 based on your needs and budget. Leupold is known for delivering quality, and this riflescope manages to uphold this legacy. The quality of the product and the inclusion of value-added features make it an excellent choice for a 30-30 rifle. What we like very much about this scope is the variable magnification, ensuring you can use it for multiple purposes and the 9x is enough for the full range on which the .30-30 can shoot on. The best scope for 30-30 for us. The scope has been oxygen purged and nitrogen filled which in simple language means it is waterproof and fog proof. Having a 40mm lens which is also multicoated will help to deliver enough brightness even in low light conditions. 3-9x magnification, withstanding any weather conditions make this an excellent all-around scope, you can mount it on your rifle and use it basically for everything. Lifetime guarantee and this price point is something a few manufacturers can offer. By accompanying this scope with such guarantee, Leupold shows just how much they trust the products they produce. The lifetime guarantee also makes the scope quite cost-efficient in the long run as it ensures that you can use it for a lot of years and won’t have to replace it in a few years, as you would otherwise do with a cheaper scope. To be able to adjust the settings when you are out on the field is something crucial. Leupold has taken care of this. The inclusion of finger-adjustable dials (1/4 MOA per click) makes adjusting and zeroing fast and easy. 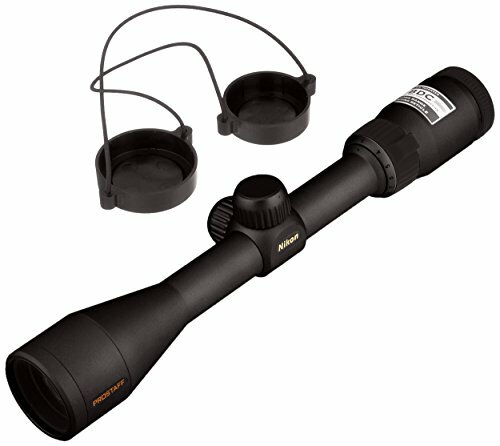 With a matte and smooth finish, waterproof exterior, and multi-coated lens, this scope has it all. All these features combined make this the best scope for Marlin 336 and any other .30-30 rifle in fact. While the packaging of the product can be improved, when it comes to the actual riflescope, it does not exhibit any major flaws, making it an excellent option for the .30-30 cartridge. 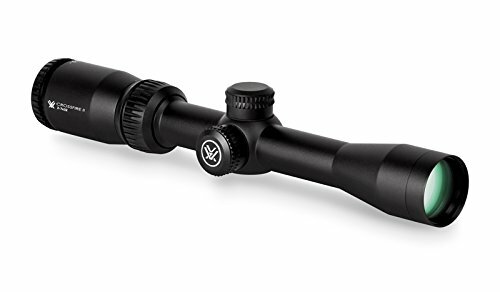 Many find this Vortex scope to be an excellent choice for a .30-30 rifle because of its reasonable price and the excellent quality it offers. One factor that you need to look for in a quality scope is how much light it can successfully transmit. The more light it transmits the better chance you have to hit a target even in low light conditions. This .30-30 scope succeeds in transmitting a generous amount of light. This is achieved by the fact that the product is multi-coated completely. The coating used is anti-reflective in nature to guarantee enhanced transmission of light. Regardless of the conditions you usually shoot on, you will sooner or later shoot outdoors. You might be faced with rugged landscapes and changing weather conditions on your way. With such varying conditions, the scope that you choose must be one which can withstand the different conditions. This scope is excellent for doing so. Its robustness allows it to be used in outdoor activities without fearing about breaking it. The scope is so durable because of the inclusion of a high-grade aluminum in the construction. At the end of the day, this scope can be an excellent addition to your 30-30 rifle. 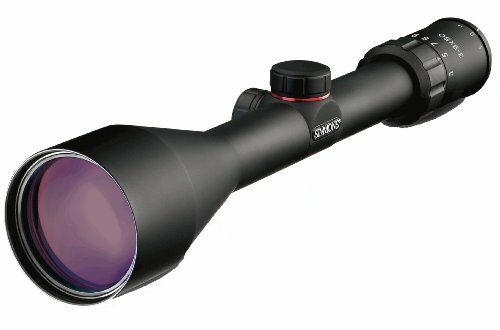 For those of you who are on the lookout for a .30-30 scope that will not inflict a dent on your wallet, you might find the Simmons 3-9x50mm to be a suitable option. The fact that the scope is affordable yet high quality is a combination only a few scopes have been able to achieve. Most rifles are used outdoors where conditions are not also stable. You will want a scope that is sealed so you can use it in all weather conditions. Simmons has taken care of this. The scope is both waterproof and fog proof. Therefore, not only will you be able to see your target when it is foggy or raining, but your scope will also continue to offer its services to you for a long time. At the end of the day, a scope is required to be used with a rifle. Even if a given product is accompanied by all the right features, they do not boil down to much if the scope cannot be easily mounted to your weapon. This scope is successful in this regard as well. Many customers have lauded the scope’s ability to be easily and efficiently mounted onto all sorts of rifles. Therefore, you don’t need to worry about whether this scope is compatible with your weapon or not. Along with the beneficial features mentioned above, this product has been successful in offering optimal brightness and sharpness. However, its accuracy can be further improved. Considering the low price of the product, it is easy to overlook this disadvantage. Nikon has always been a force to be reckoned with. This riflescope is merely proof why it has succeeded in being a quality provider of scopes, binoculars, and scope mount all these years. Nikon’s dedication to quality and satisfaction of customers is reflected in this product. The Nikon’s riflescope uses a positive-click reticle system to make sure that your adjustments are precise to the tee. The dials are also constructed in a way to make sure that the adjustments are zeroed in as soon as possible. This feature allows you to target your prey as soon as you spot it. This Nikon would be an excellent scar 17 scope as well. Even though most scopes claim to facilitate users shooting over long distances, only a few products actually live up to these claims. Nikon, as expected, manages to put its money where its mouth is with the help of this scope. The scope uses a BDC reticle feature to extend the range at which the scope can be used to spot and hold a prey. The BDC is equipped with see-through circles, which makes long-range shooting much easier than before and make sure that you are able to shoot with as much precision as possible. While you might think that this BDC reticle might undermine short-range shooting experiences, the fact is that it allows for normal sighting in short ranges as well. Since the scope can transmit a lot of light, it serves to offer satisfactory brightness and contrast to its users. Hence, it is safe to say that the product is equipped with all the desired features, if not more. You will find this scope to be worth every penny you spent and it can be easily be called the best scope for .30-30 rifles. One of the best 3-9×40 scopes overall as well. Are you using your 30-30 lever action rifle on the same distance every time? If so, you might find the Barska riflescope to be a potential option for you. One feature that this riflescope has been able to nail is the durability of its construction. Rather than being a fragile scope that requires protection, the manufacturers of the product realize that people wish for a robust scope so that they can focus their energy on hunting. Therefore, the product has been manufactured to be resistant to all kinds of weather. It doesn’t matter if it is raining cats and dogs outside or if the sun is radiating scorching heat; if you think you can bear the adverse climate, rest assured that the scope will too. We found this feature to be an excellent addition since it ensures not only durability but also the integrity of the experience. Not only does this scope not get damaged when used under the glistening sun, but it also provides its users with optimal performance in such conditions. This feature has been achieved by the inclusion of a built-in sunshade in the scope. This sunshade helps cast a shadow on the lens and, thereby, ensures that the glare of the sun can be reduced. Additionally, the Mil-Dot reticle can be reflected in green, black and red colors, each of which is chosen for a reason. For instance, red illumination is ideal for low-light shooting, while green is made for daylight adventures. We did find the eye relief feature to be quite limited, but apart from this flaw, there isn’t much that is wrong with the product. For those of you who value versatility of use, this scope might be the best purchase you make. All of the products mentioned have been successful in providing quality one way or another. While all of them feature a few flaws, at the end of the day, their benefits outstrip the drawbacks. Which product is the best scope for 30-30 rifle will depend on your preferences and priorities. However, during our review, we found the Nikon Prostaff 3-9×40 Riflescope to be the best among all. This is because it contains most of the features offered by other scopes along with additional benefits of long-range shooting. Whichever product you end up choosing, we believe that you will be satisfied with its performance. Equip yourself with a scope that suits your needs and enjoy hunting! If you want something more powerful, check our 30-06 scopes recommendations.